Horses are not humans; a phrase most horse people have heard before. Meaning horses do not react at all like humans do, very true of course and obviously a very important lesson in horsemanship. Yet it does depend on what kind of human we refer to. This entry was posted in Our horses, Thoughts and tagged horse, Horsemanship, nokota, photography. Bookmark the permalink. This is pretty much what the local landscape where I live looks like now. Happy winter! “All things are connected to all things”. 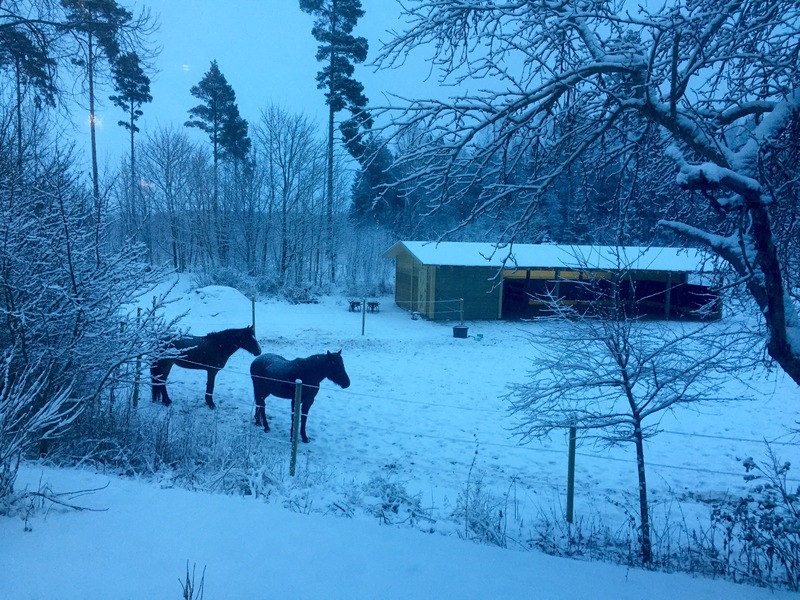 Beautiful photo with the cold, bluish light of winter and snowy ground, and the horses are patiently waiting it out. in dream work the horse is symbolic of the dreamers heart. in life i have met many horses with bigger hearts and much more humanity than many people. if we are not too arrogant to learn – the language of the horse is all heart. bold true heart. Very true. Thank you for your words, it means a lot.